Bailieborough News. August 20th 2018. Matthew J. Cullen. The buses from the Parish will be leaving St. Anne’s Church, Carpark at 8.00am on next Sunday morning. The tickets for the Papal Mass will be distributed on the buses to those who have booked their place. Please be advised that the bus parks will be located away from the Phoenix Park, so there will probably be a significant walk involved of between 1 and 4 kilometres. Please bring a light fold-up chair—if you wish to sit during the day, wear warm and weatherproof clothing and it would be advisable to bring a packed lunch as well, even though there will be refreshments available to buy in the Park. Bailieborough Poetry Festival 2018: Bailieborough Poetry Competition: The Festival will take place from 4th to 7th October 2018. The Bailieborough Poetry Prize 2018 is now open for entries. The Poetry Prize 2018 will be an open competition with a first prize of €300 for the winning poet. The judge this year is Noel Monahan and the closing date for the submission of entries is Monday, September 10th, 2018. Full competition rules are available on the Bailieborough Poetry website. Full details soon but there will be poetry readings, open mics, poetry workshops, the Annual Poetry Competition and an associated Art Exhibition. Poets definitely taking part are Annemarie Ní Churreáin, Enda Wyley and Brendan McCann. Enda Wyley will be reading and facilitating a workshop at Bailieborough Poetry Festival 2018.Watch out for full programme soon. Bailieborough Mental Health Association will be holding its Annual General Meeting on Thursday, September 6th at 8.30 pm, in the Bailie Hotel. New members welcome. ’ My Seven Year Stitch’ Showcases Sally-Ann Duffy’s textile art created during an extraordinary and emotional seven-year period of her life. She believes that the immersion in creative projects through that time has supported her mental health and has been both therapeutic and healing. The art work will be displayed in the beautiful Bailieborough Library Arts Space, until the end of August. FREE Five Week Basic iPhone, iPad, Tablet and Smartphone class, commencing in Bailieborough Library on Tuesday, September 4th at 10am. If interested, please enquire at the Library 042 9665779 or call Angela on 046 9280790 to book a place. Classes will be limited to 10 participants. We are calling on the people of Bailieborough, if you have ideas or would like to give us a helping hand with Festival 2019 or the Christmas Lights 2018, we would greatly appreciate it!! Just contact any committee member who will be able to give you further information. Wednesday, August 22nd – Skeagh/ Knockbride East: (M) – 1.5hr approx. Leaving Bailieborough Library at 7.00pm. Meet at Skeaghville Chalets at 7.15pm. From Bailieborough take Cavan road for 3 km, turn right for Cootehill Road R191, at 2km take a right at sign for Skeaghville, continue straight on this road for approx 2km. Wednesday, August 29th, Bruce Hill. (M) – 1.5hrs approx. Meet at Carrickabruise National School just of the N3, 3 miles from Virginia. Leaving Bailieborough library at 6.45pm. Walk commences at 7.15pm. All welcome. Lotto results for 11-08-2018. Numbers Drawn; 3, 5, 14, 22. No Jackpot Winner, Lucky Dip (€25) Winners; M Giles; Michael Clarke; Mairead McCabe; Martina Clarke. Lotto results for 18-08-2018. Numbers Drawn; 1, 5, 22, 24. No Jackpot Winner, Lucky Dip (€25) Winners; Carmel O’Callaghan; Grace Reilly; Phil Smith; Margo Gormley. Jackpot next week, €4,300. NO POSTERS, please on the Tesco fence or anywhere around the town or on all approach roads from the 50k limit in. Thanks to all who have already complied with our request. Safepass on Saturday next, 25th August (Please note, change of day and date) from 8am -4pm, lunch included, course fee €100. Please contact Bailieborough Business Centre on 042-96 94 716 for further details. Please note that there will be NO Citizens Information service at the Library for the month of August. The service resumes on Tuesday, September 4th at 1.30pm! Well Done: Well done to all of the Bailieborough Heritage Committee who staged a very interesting and informative display over the weekend in Murtagh’s Yard for Heritage Week. If the footfall at the event is anything to go by, then there is terrific interest in having a permanent display of historical items, located in the town. Can you spare a couple of hours and help out at Tesco, Bailieborough for the NCBI National Tesco ‘Bag Pack’ on Saturday next, August 25th? If you can or your friends and family have time to spare, please get in touch with: fundraising@ncbi.ie or call, 01 882 1970 for further information. Spanish Adult Lessons are back in September, in Bailieboro Business Centre. Every Tuesday and Wednesday evening, from completely beginners to intermediate level. Classes commence on Tuesday, September 4th, 7—8pm for beginners, 8—9pm for intermediate. Enrolment evening will be on Thursday, August 30th in the Business Centre. For more information please ring 087 7414735. The annual St. Vincent DePaul Pilgrimage to Knock will take place on Saturday, September 8th. A bus will be leaving the Community Centre at 8.30am. Booking with €15 bus fare, in Vincent’s Shop, Main Street by Saturday, September 1st. St. Felim’s, National School, The Vale, –Monday, September 10th at 8.00pm and St. Anne’s, National School, Tuesday, September 11th at 8.00pm. The Annual Blessing of the Graves will take place in St. Anne’s Cemetery on Sunday, September 2nd at 12 noon. Now would be the ideal time to look after the grave or a plot of a loved one in preparation for Cemetery Sunday. Food Safety Training HACCP at Bailieborough Business Centre. One-day Course – Cost €60. This course is a must for anybody in the food preparation and provision business, places are limited to 10 participants. Call 042-969-4716 to reserve a space. Computers for Beginners – learn a new skill over the Summer. The course will introduce you to email, social media, on line transactions, and many more ways to make your life easier with the internet. Call 042-969-4716 – Classes are free of charge. Classes for the Autumn Schedule at Bailieborough Business Centre. Call to let us know what you are interested in doing and we will register your interest with the ETB. Please call 042-969-4716 for further information. The following are the available dates for Baptisms in St. Anne’s Church–September 15th (Saturday, 1.30pm), September 23rd (Sunday, 12.30pm) October 6th (Saturday, 1.30pm) and October 28th (Sunday, 12.30pm). Under 7/9/11; No training this week. All welcome to camp Tuesday, Wednesday and Thursday. Under 13; The lads now await Cavan competitions. Under 15; A bereavement in the Blayney club forced the cancellation of last Thursdays game. Luimneach Abú!! 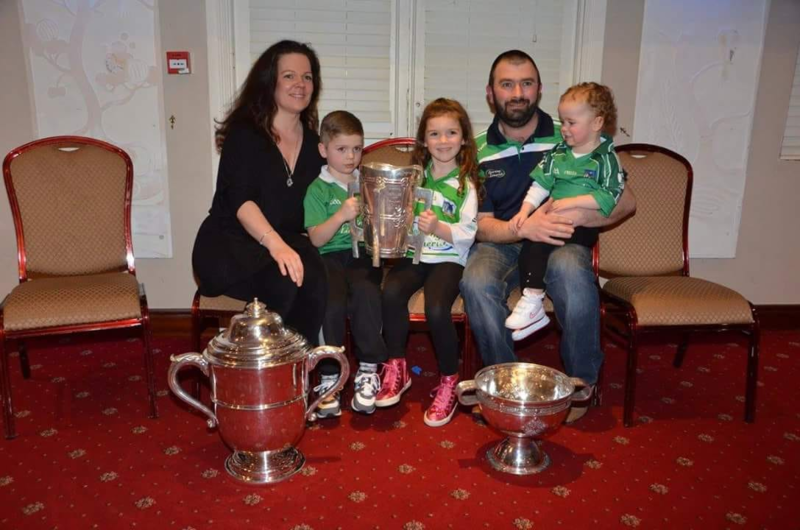 Congratulations to Limerick on winning the All Ireland Hurling title at last and to our own Pat O’Flaherty and family as they enjoy the ending of the famine! Now all Martina wants is for Mayo to end their football famine next year and all will be well in the world!! Under 17; Proving very difficult to get fixtures during the summer months. More info at training. Adult; We have entered into the Cavan hurling Championship for 2018. Training : Thursday 8pm in Killann or Kingscourt whichever available. New players especially welcome. Thursday; Camp Day 3 Kingscourt, 10-1.30. Adult training in Kingscourt or Killann 8pm. Saturday; U14 intercounty blitz, Cloghan. Club contacts; U7/9/11; Willie Gaughan 086 164 9280. U13; Colin Higgins 087 276 9086. U15; Pat O’Flaherty 087 450 1524. U15/17; Kathryn O’ Flynn 087 244 1371. With the Leaving Cert results out – some students and their parents/guardians are now unsure about what the next step should be. Let us help you. Call in to our Open Day tomorrow, Thursday, August 23rd from 10am until 4pm. Applications still being accepted for courses starting this September. The Irish Northern Drag Hunt Association are delighted to host the All Ireland Heats on Saturday the 25th August, starting at 1 pm, at the farm of Patrick Shalvey, Maudabawn. Spectators of all ages very welcome. Presentations, entertainment and refreshments will take place in Connolly’s Pub, Cootehill at 9pm. Everybody very welcome. http://bailieborough.com/wp-content/uploads/2015/09/bborocomlogo2015-300x130.png 0 0 Lee McDonnell http://bailieborough.com/wp-content/uploads/2015/09/bborocomlogo2015-300x130.png Lee McDonnell2018-08-22 12:11:072018-08-22 12:11:07Bailieborough News. August 20th 2018. Matthew J. Cullen. Bailieborough News. August 13th 2018. Matthew J. Cullen. Bailieborough News. August 27th 2018. Matthew J. Cullen.